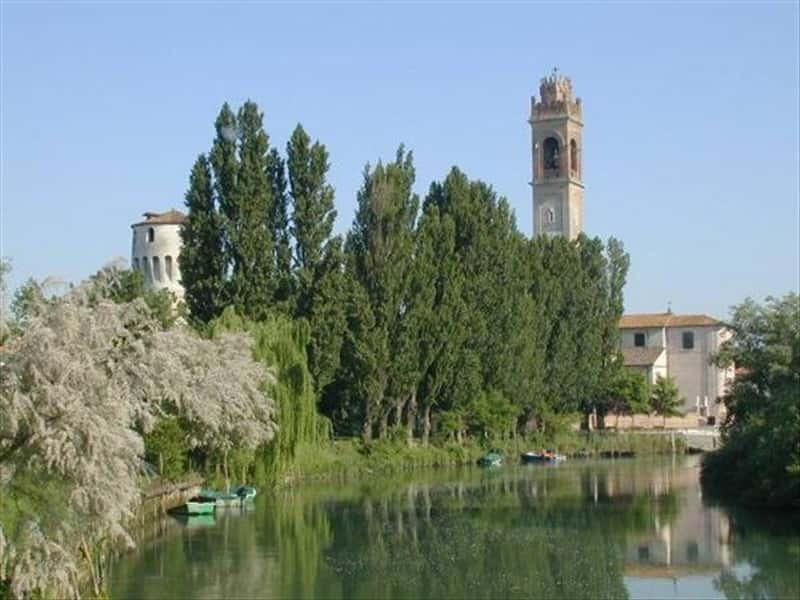 Casale sul Sile is a municipality in the province of Treviso, located on a plain crossed by numerous rivers, such as the Sile (which gives the village its name), the rio Bigonzo, the rio Serva, the Riolo and the Servetto. The district is on the border with the province of Venice. The city's economy, mainly devoted to agricultural activities, features a strong craft and industrial incoming. The area was already inhabited at the times of the Euganei, as evidenced by the discovery of a stone hammer in the district of Conscio. The first documents that report the name of the town date back to the early XII century. The original centre was erected around the old castle, located in a strategic position on the right bank of the river Sile. The centre became a famous pilgrimage destination, when in the XV century, after the miraculous apparition of the Virgin to a crippled shepherd and his subsequent immediate recovery, this person acquired the power to predict the future. In the later centuries, Casale sul Sile shared the same historical events of the other centers in the area of Treviso. This town web page has been visited 25,759 times.